We are a roofing company with over 30 years experience in all aspects of roofing. Our roofing services cover both residential and commercial sectors, working with landlords, surveyors and architects. All our workforce are skilled and fully qualified. Our head office is based in Worcester Park with also a depot in Hammersmith from where we can cover properties across Surrey, London and Middlesex. We are fully insured with Public Liability and Employers Liability. 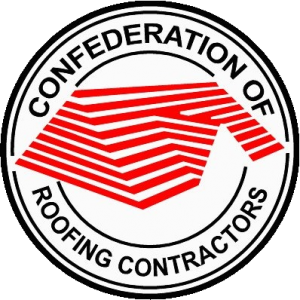 We are members of The National Federation of Roofing Contractors, The Confederation of Roofing Contractors and The Federation of Master Builders, and like them we stand for: INTEGRITY, RELIABLILITY and CUSTOMER PROTECTION. All our operatives know exactly what they are doing from remedying the least obvious leak, to the obvious. Our quality and cleanliness of workmanship is of a very high standard. Continuing satisfaction with many new and existing customers in the residential and commercial sectors. We are A Roofing Company that is here to help and a company you can trust.